We, "Victory Machinery Corporation", Mumbai established in year 1996 are one of the leading Manufacturing, Exporting, Trading, Retailing and Supplying these precisely engineered Industrial machine which is widely used in varied industries. Due to the high grade machine, the firm has made some unprecedented strides in growth of business. 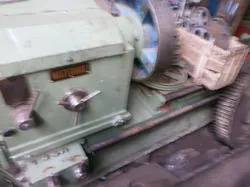 The product range comprises of Plate Rolling Machine, Lathe Machine, Hydraulic Presses, Drill Machine, Metal Cutting Machine, Tool Room Machine, Sheet Metal Machine, Civil Construction Machine, Wood Working Machine, Machine Tool Accessories and Welding Machine. 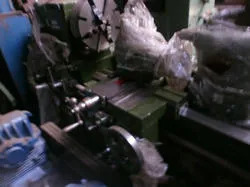 All the machine and equipments are highly durable and therefore vastly demanded. We are backed by a team of professionals, who perform their functions efficiently to fulfill the organizational goals. They are committed towards providing high quality products to the clients in timely manner. Further, we aim to achieve utmost client satisfaction by improving our quality standards and hence, offering an enhanced range of products assuring high performance. The entire products range offered by the firm is best in class owing to its quality, fine workmanship, dimensional accuracy and fine finish. To maintain the quality of the products the firm is very particular in procuring the best raw materials, components and fittings only from trusted vendors. Ethical business policy with fair trade practice helps to effectively advance the business growth to prosperity. Timely deliveries are made to the satisfaction of all clients. Our organization holds an competitive advantage due to its experienced professionals, large product line and quality testing measures available in-house. We export our products to Gulf Countries, Middle East Asia and Africa. With the efforts and hard work of our mentor, "Mr.Poonawala" we have been able to create a favorable position for ourselves in the market. Owing to his excellent leadership and management skills, our professionals have been performing all their activities in streamlined manner. We are backed by an efficient team of industry experts. The team comprises of qualified mechanical engineers, technocrats, product designers and developers, skilled workmen and more. Regular training sessions are held to tone up the skills of our personnel with the latest trends in the market to boost the production levels with the upgraded technology. Training leads to make them more industry specific. Our professionals work in close coordination with customer to understand their industrial needs and requirements and thereby be in a position to fulfill the demands and offer solutions accordingly. Our team of professionals has vast experience and knowledge in their respective domain and are well versed with every aspect of production of industrial machine of superior quality. Their dedicated hard work has lead to provide high efficiency and high productivity. The products offered by us to the customers has been vastly appreciated by them for its superlative performances, fine features and competitive prices.